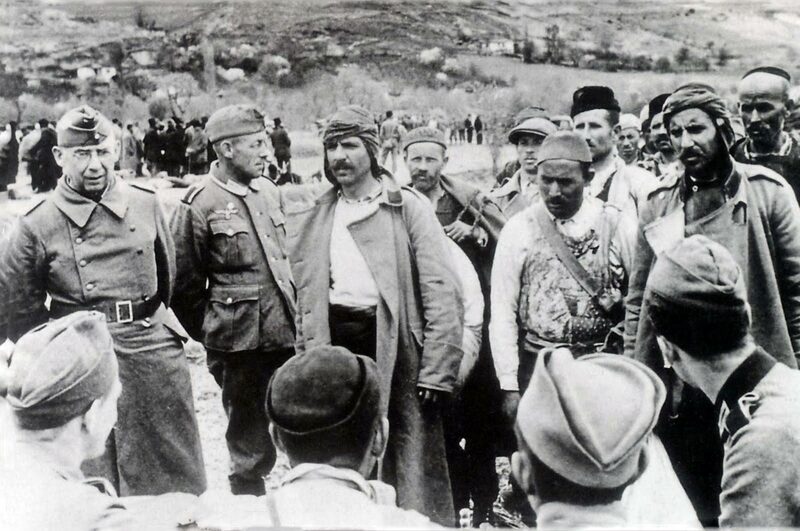 Albanian volunteers join the 21st Waffen Mountain Division of the SS Skanderbeg (1st Albanian Division). 21st Waffen Mountain Division of the SS Skanderbeg was formed in Northern Albania (the province of Kosovo) from Albanians on May 1, 1944. Named after the national hero of Albania Skanderbeg. A distinctive form of clothing is white fez cap.